Not all armies are created equal, fewer tournament games are and player skills are all over the map. The list you bring to a tournament is what you will be interacting with your opponents through on the battlefield. Although players do conduct themselves well, poorly or like a gibbering fool while in a game the interaction of the armies, through army choices and how the army is used can make for entertaining, challenging or frustrating games and sometimes a combination of all three. Nerd rage at its finest. Watch this video, it is awesome and made with comic intent. The majority of Warhammer players have an idealized version of a fun game of Warhammer that involves back and forth between armies, decisive combats, bursts of magic and frantic flees. These battles have a narrative element that many times makes for a good story at the bar afterwards and for more memorable games, win or lose for both players. I am a firm believer of no comp Warhammer, I think it allows players to do as the title suggests, to take the list you want for the result you want. This little nugget keeps popping up on Twitter from Dale Bartz and I like this idea. If you want to win Best General or score highly in this category your list will have to be merciless and you will need the practice and skills to get the job done and I honestly think you need to be ok not getting perfect sports scores or sometimes even great ones. If your list is built to take your opponents army off with little risk to yourself and there isn't a balance of back and forth, you could be a great opponent but if your opponent plays against another great opponent later in the tournament whose list and play style allows for a more back and forth "close" game don't be surprised if they enjoyed that game more. If you want to win Best Sports (a somewhat fickle award) or have high sports scores than make sure to have all your supplies, know your rules, defend them in a respectful manner, be friendly and take a list that is engaging and interesting to play with and play against. If you want to win Player's Choice or Best Painted or score highly in those categories take your best painted models regardless of in-game performance, or design a list far enough in advance to paint up the models well. The hardest award is Best Overall, and this award truly should mean the person who overall represents the best parts of each aspect of the hobby at that event. Best Overall many times is the person who scores the highest in battle, but not always and that should be ok and celebrated. The Best Overall winner should be an ambassador of all aspects of the hobby, painting, gaming and sports/community building. If you want Best Overall take your best painted models, a list that is balanced enough to face many armies but can be played in a way that creates a story on the table and win your games. Unlike Magic the Gathering, Warhammer Fantasy still has a large element of in-game storytelling that goes back to its role-playing roots. This storytelling in the game means a lot to many players and if your list doesn't give a story, or your play style makes for a crappy one what fun is that? I am thinking about this as I am writing up different BITS lists. I have been bored with the Beastmen lately, too slow and very one dimensional. 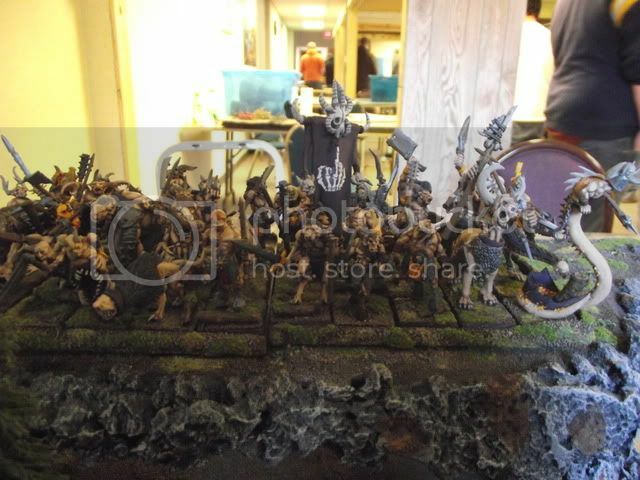 I could pull out my High Elves, which are more balanced but were painted before my "get legit" goal with the Beastmen and so aren't painted great. Either way I would paint up some more models and use a style of list I haven't used yet. I find myself wondering what do I want out of the weekend at BITS? 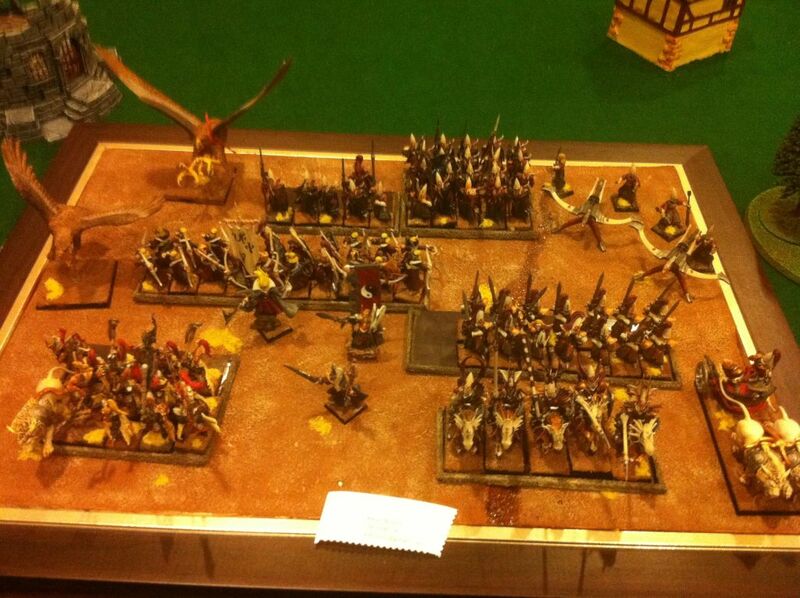 However I choose to answer that question will influence what army and what list I will bring. Wise words from warhammer's Walt Whitman! Great article. This concept is hard to explain to new players but I think you did a fantastic job.